You are currently browsing the archives for the tag 'François Demachy'. 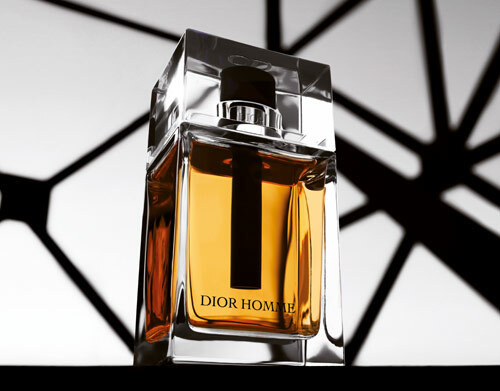 La Colle Noire is the newest addition to the Collection Privée de Christian Dior. 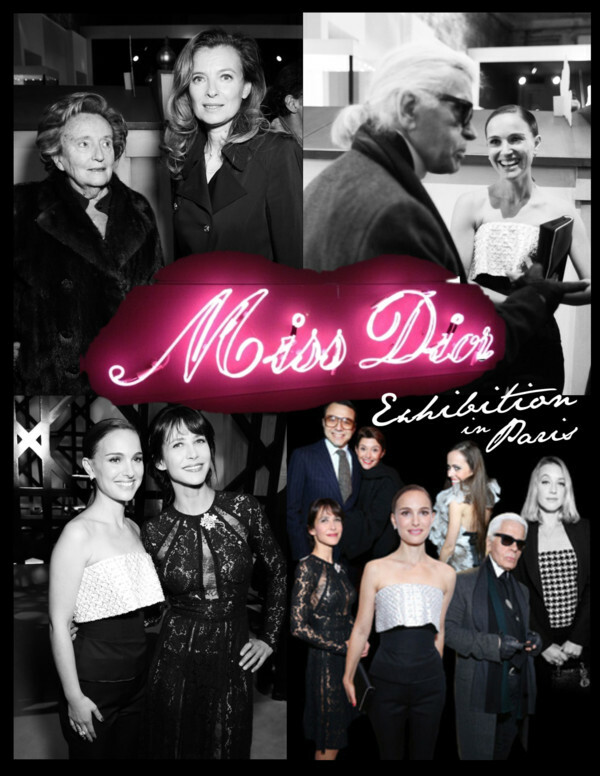 A mysterious name for a place dear to the House of Dior. 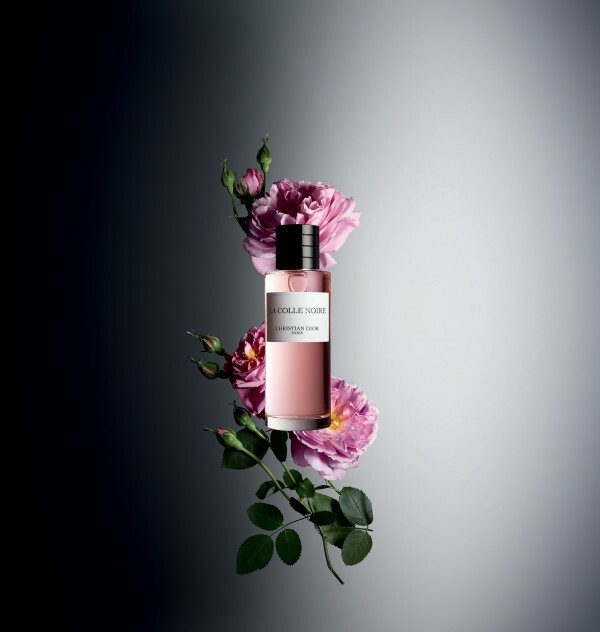 The new sunny composition is in homage to the land of Grasse, which plays a vital role in the history of Dior fragrances, and to its flower queen, Rose de Mai. Located not far from Grasse, the Château de La Colle Noire was purchased by Christian Dior in 1951. 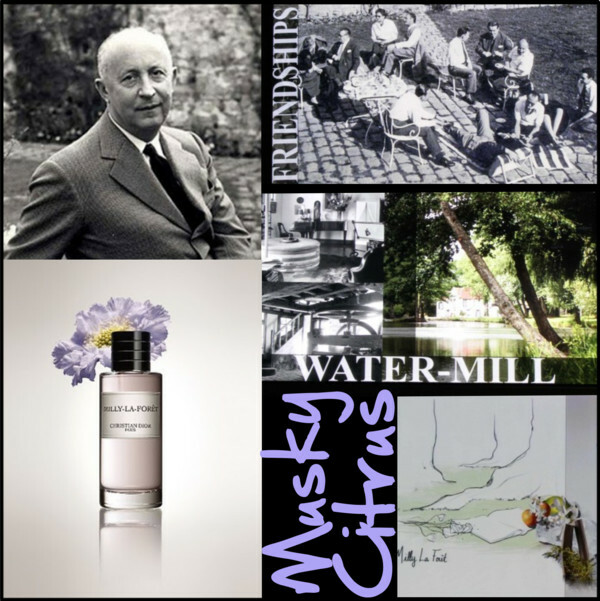 It was, for him, a genuine haven of peace lovingly shaped by his own hand, where he grew his beloved flowers that had already become the signature of Dior fragrances. François Demachy, Dior Perfumer-Creator, drew inspiration from this bountiful place to build his fragrance around an intense, expressive and dense Absolute of Centifolia Rose. 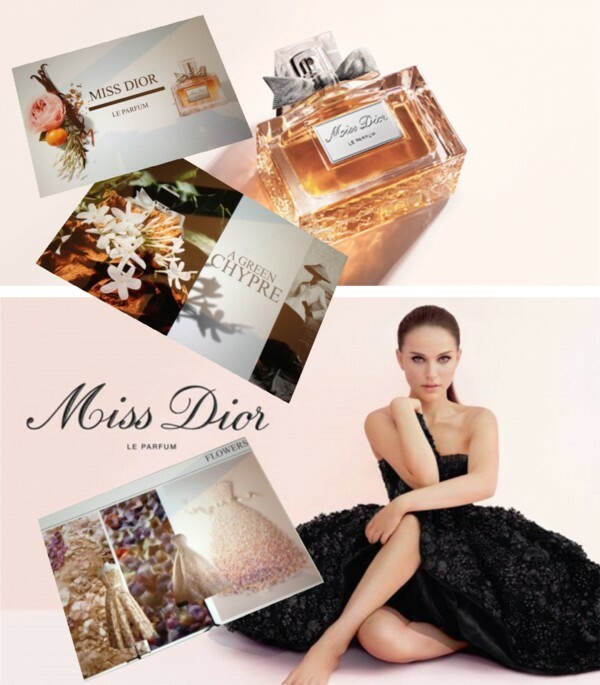 La Colle Noire is an incisive multi-faceted floral fragrance. «La Colle Noire celebrates Rose de Mai melded with spices, woods, amber and musks. 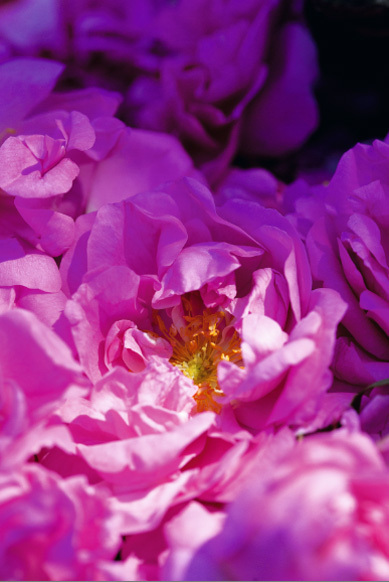 The Grasse Rose is unique, spicy and powerful. 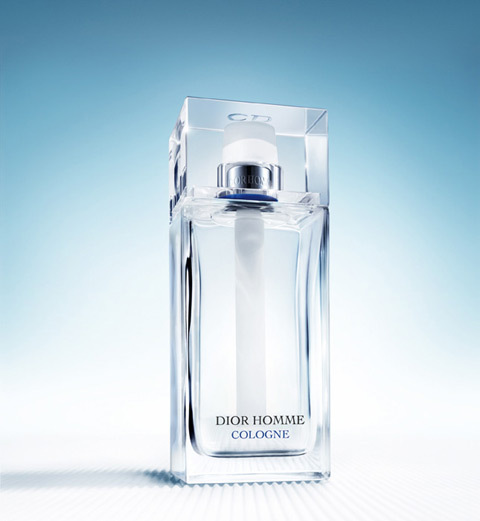 Available now for CHF 335.00 (125ml), CHF 480.00 (250ml) and CHF 675.00 (450ml). 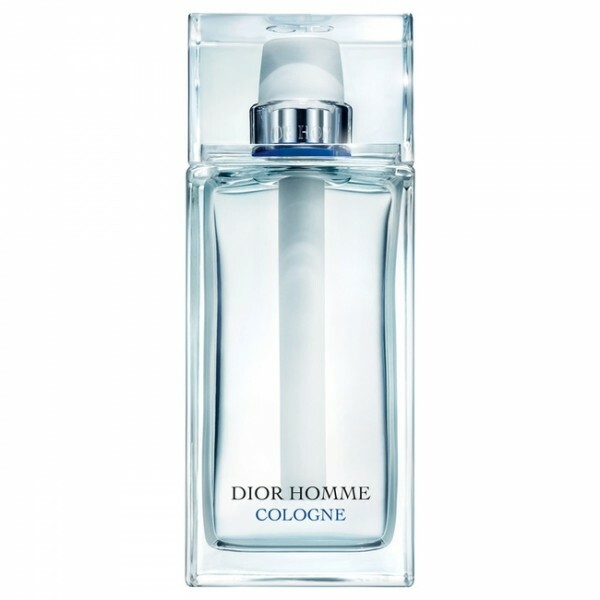 This May, Dior will launch a new amazing fragrance as part of the exclusive collection La Collection Privée, for both men and women. 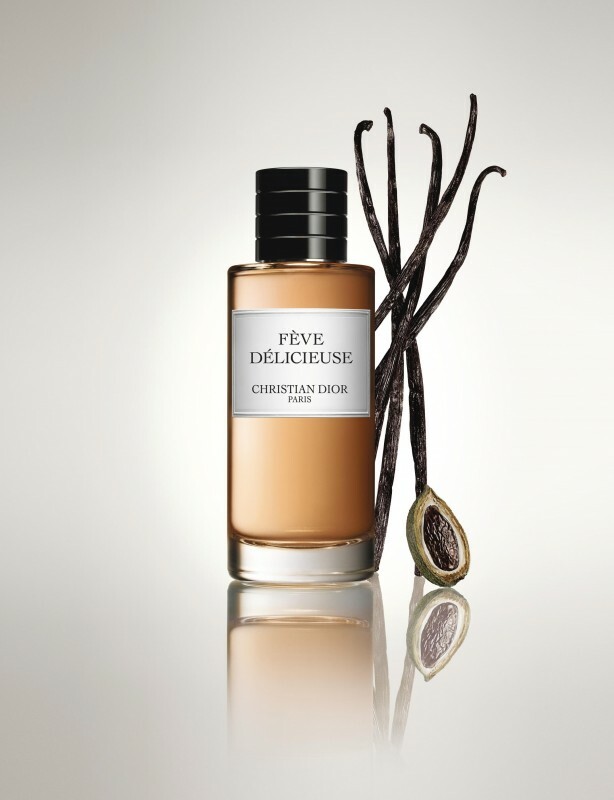 The new scent is centered on Venezuelan tonka beans, named FEVE DELICIEUSE. 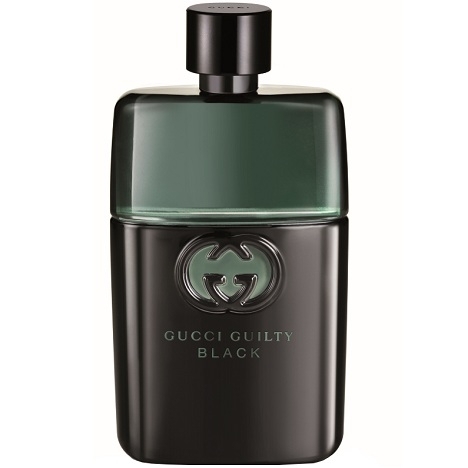 The perfume was created by in-house perfumer Francois Demachy as a sophisticated oriental vanilla composition, including notes of tonka bean, vanilla, caramel, cocoa, pralines and woody accords. It’s beautiful and seductive. 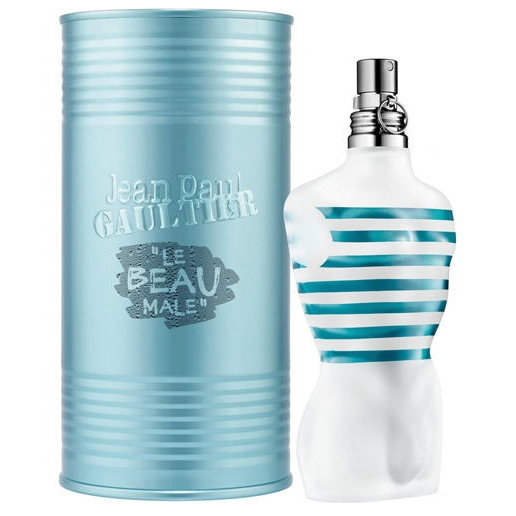 The fragrance is available (in Switzerland from May 20, 2015) as Eau de Parfum in three different sizes, 125ml (CHF 335.00), 250ml (CHF 480.00) and 450ml (CHF 675.00). 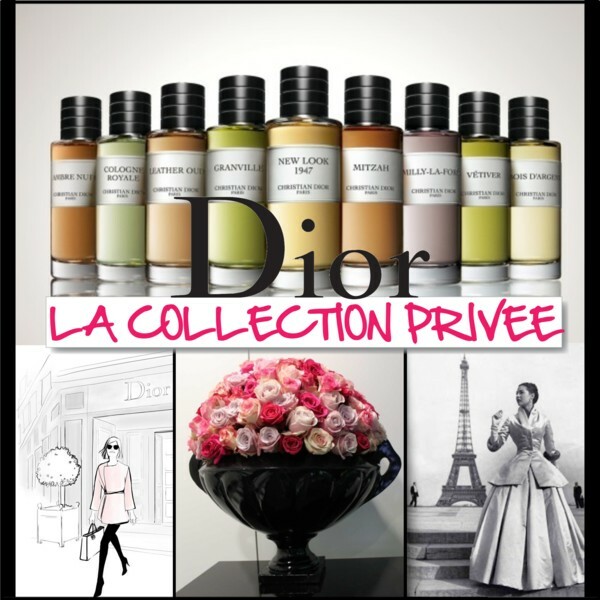 Let me introduce you to Dior‘s exclusive prestige line of perfumes, LA COLLECTION PRIVEE, made of rare noble ingredients. Below you will find my personal favorites along with the house’s newest addition: GRIS MONTAIGNE. February 12, 1947: A major event was held at 30, avenue Montaigne in Paris, where Christian Dior presented his first fashion show. With his flower women and bright colors, the Designer launched a fresh fashion trend. “It’s a New Look!” exclaimed Carmel Snow, chief editor at Harper’s Bazaar, thus christening the Designer’s inimitable style. 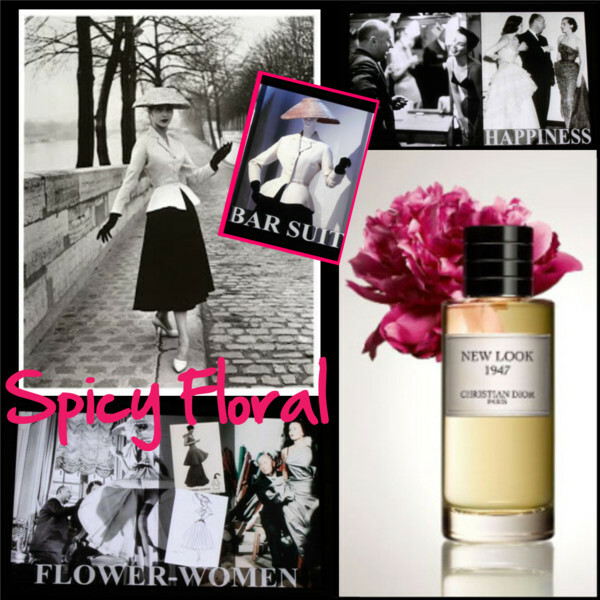 Today, the New Look has become an explosive, generous, ultra-feminine and floral fragrance. After his fashion shows, Christian Dior loved to get away from high society Parisian life in order to recharge his batteries at his home in Milly-la-Forêt. “Hidden away from the world and surrounded only by my flowers, my canals and my small pond, I can listen to the sound of the Milly bells in peace.” he writes. Wandering through the surrounding woods, François Demachy imagined this fragrance as the embodiment of a romantic walk in the forest, with a fresh, tender and cottony scent. 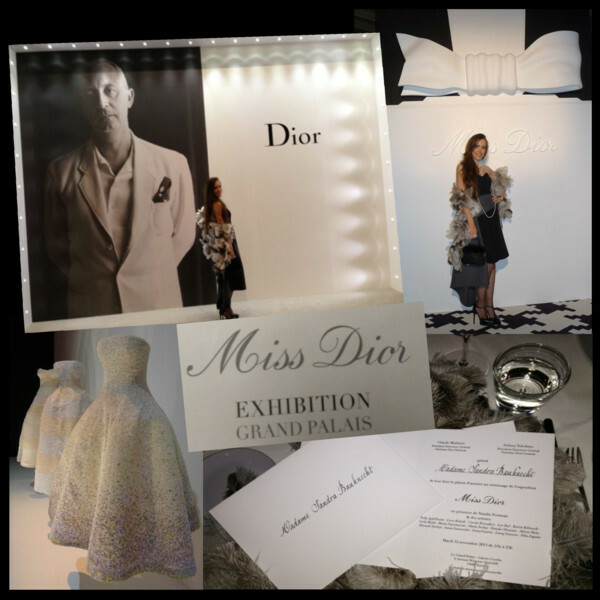 Literally fascinated by the excess of the imposing balls that he would not miss for anything, Christian Dior used his fashion to celebrate a certain luxurious and timeless celebratory spirit. A new chapter in the “Christian Dior Collection Privée”, Grand Bal elegantly embodies the intoxication of a summer’s night at the first light of dawn. 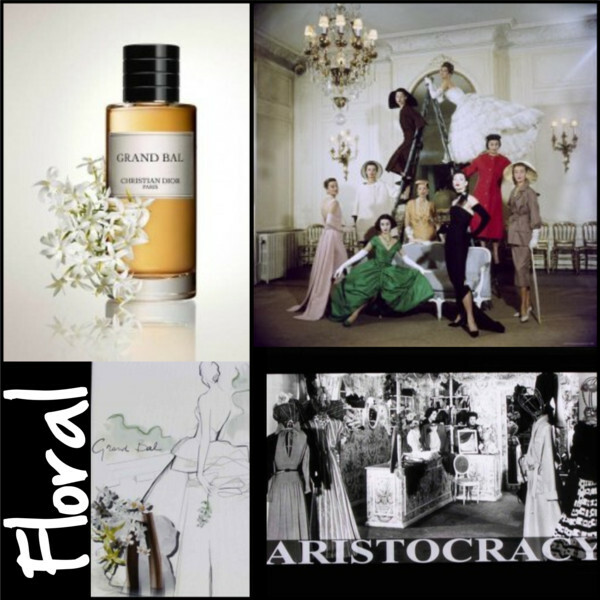 Like the most beautiful of gowns, its radiant composition, dominated by Grasse Jasmine, conceals noble raw materials. 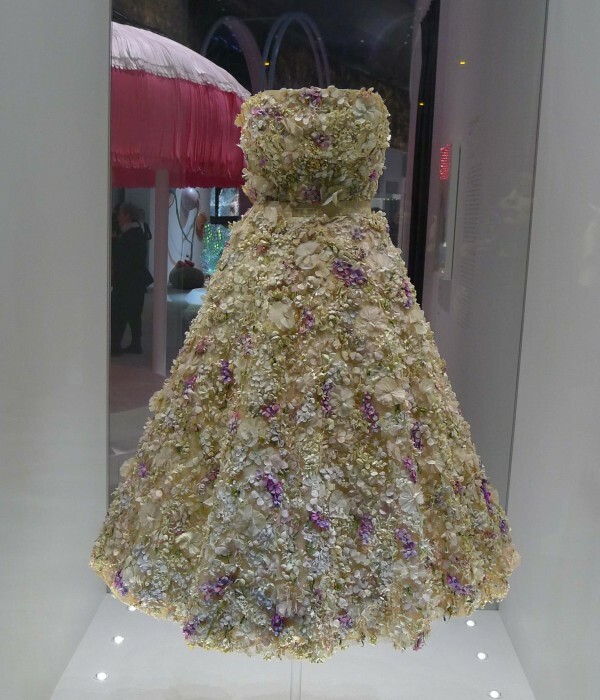 “Grand Bal is an echo of Christian Dior’s great ball gowns, whose full skirts and beauty evoked the petals of a flower in full bloom,” François Demachy. 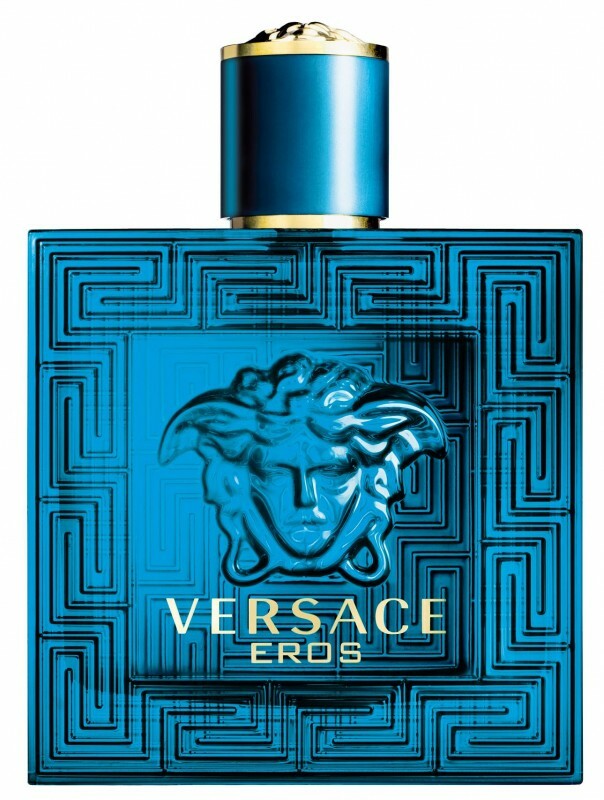 And if grey were a perfume? 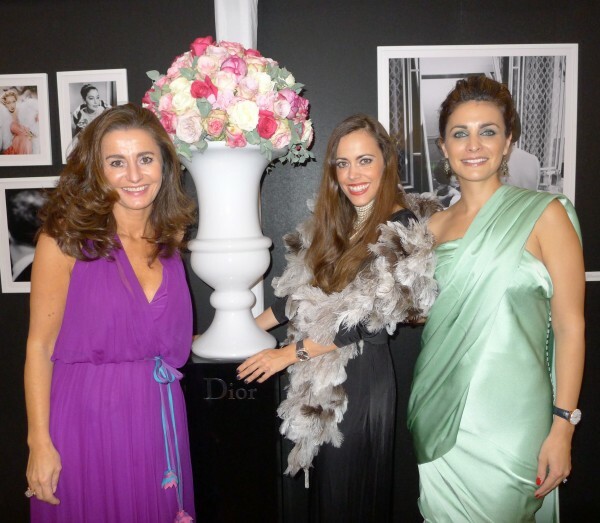 The olfactory signature of the Couture House’s legendary location, 30, Avenue Montaigne, has become a reality. 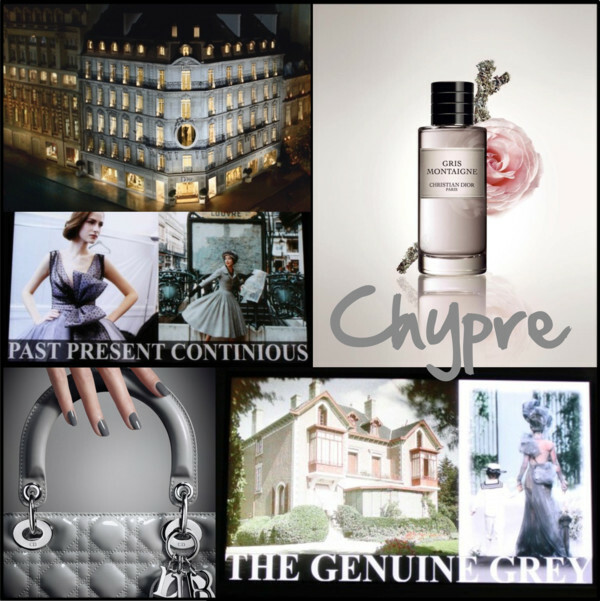 The perfumer’s response to couture, this sophisticated chypre fragrance is a bold interpretation of the Dior Grey. 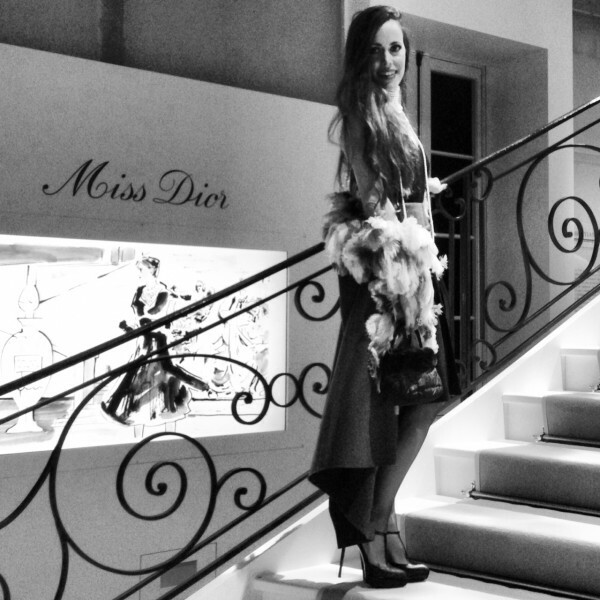 The Couture Grey featured in the collections since 1947, the Grey Emotion of Christian Dior’s family home in Granville, Pearl Grey like the facade of the boutique on Avenue Montaigne. Colour becomes a perfume: a burst of citrus, a floral heart of Turkish Rose and Jasmine Sambac from the Indian region of Tamil Nadu, followed by a woody note heightened with Indonesian Patchouli set against an ambery backdrop of moss. 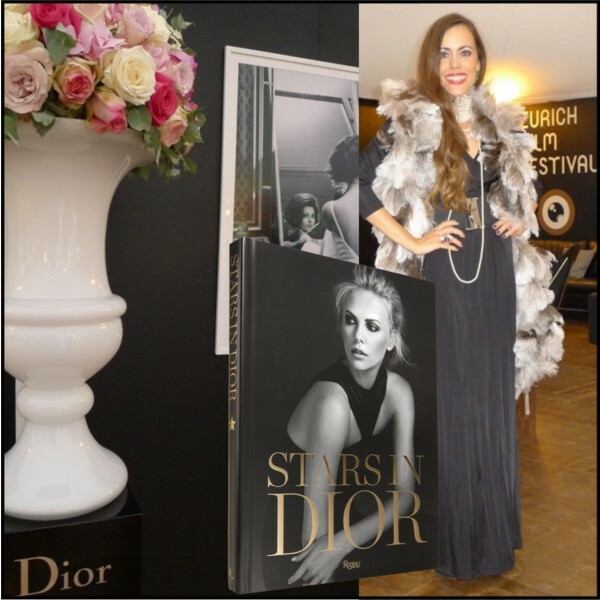 In Switzerland, La Collection Privée by Christian Dior is exclusively available at Jelmoli Zurich, the crowning jewel of the Dior space at the Swiss department store. Indulge yourself in Italian grandeur and explore the brand that stands like no other for understated luxury, sophistication, elegance, exclusivity and authenticity. All those pillars that are synonymous with being “Made in Italia”. 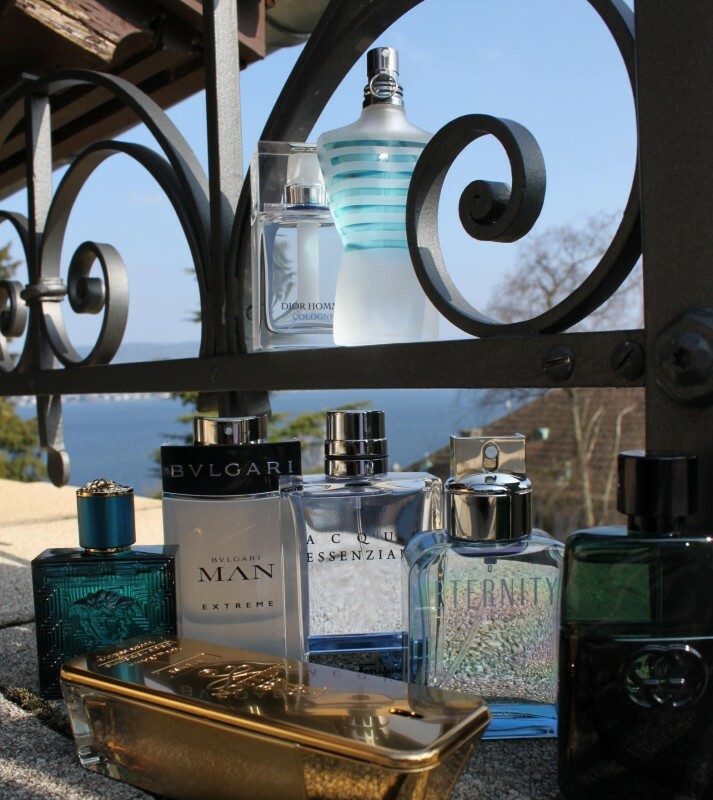 The lifestyle brand, that is also known as a celebrity perfume classic, has existed for almost 100 years. Its history began like an alchemy in 1916 in a small Italian factory with the creation of Colonia, the origin of the legend. 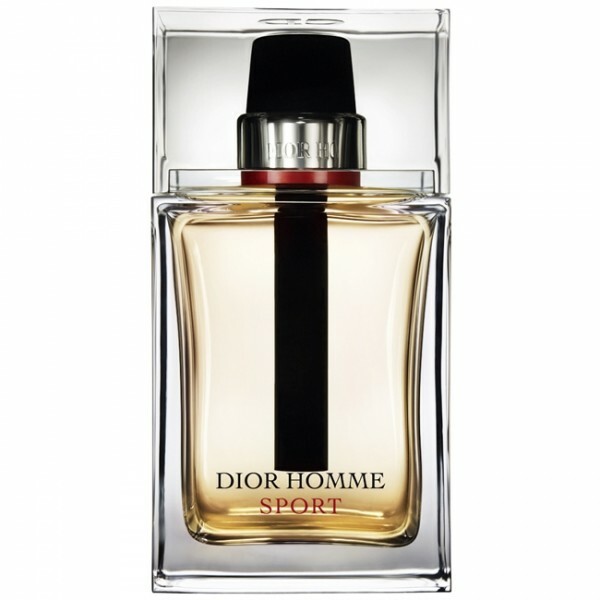 The refreshing, crisp and subtle fragrance that was so different from the perfumes that were the vogue in those years. Until today, Colonia has got cult status. 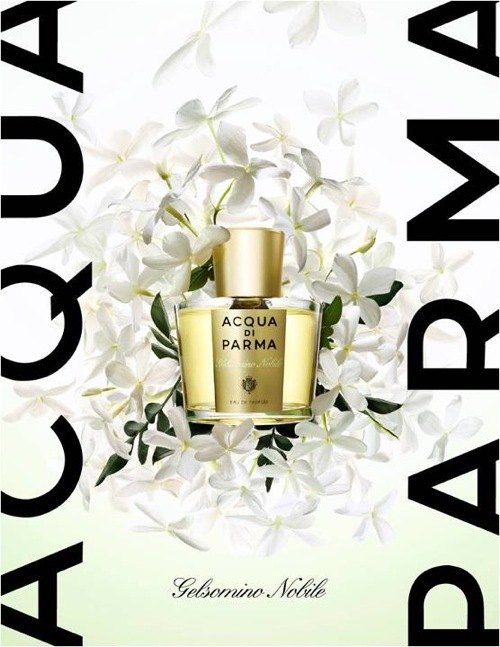 In 1993, Acqua di Parma was bought by three famous Colonia-lovers and entrepreneurs, Luca di Montezemolo (Chairman of Ferrari), Diego della Valle (CEO of Tod’s) and Paolo Borgomanero (Shareholder of La Perla), who were eager to reinvent the brand. 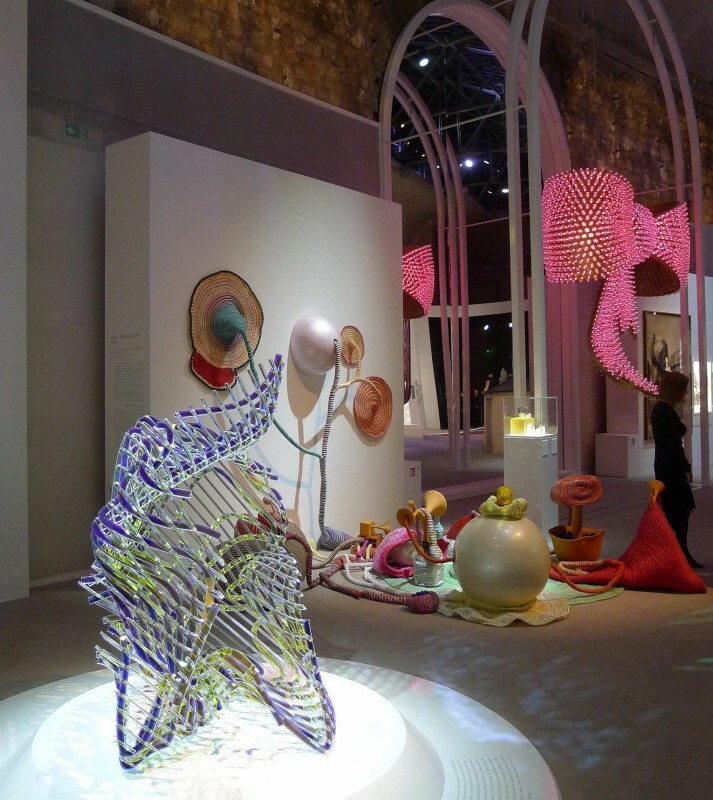 A very important chapter opened in the company’s history when LVMH bought into the hundred-year-old Italian house in 2001. 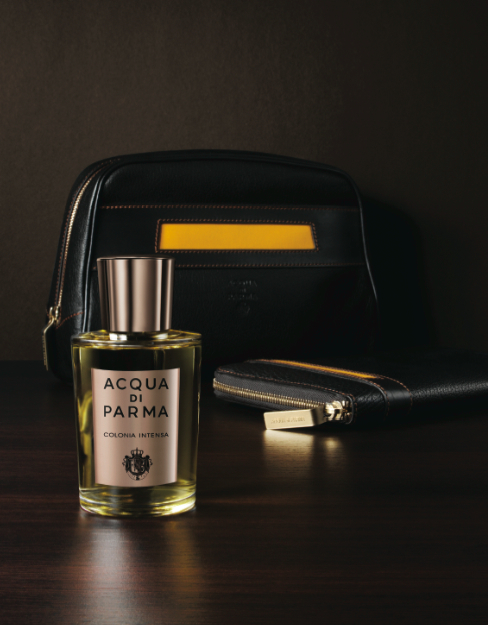 Today, Acqua di Parma offers a huge selection of luxury goods, from the famous Home Fragrance Collection (scented candles for the home) to the Home Collection (linen and terrycloth products), the Collezione Barbiere (shaving products and accessories) and the Tournée Collection (leather accessories). Fragrance aficionados love the Blu Mediterraneo and Blu Mediterraneo Italian Resort ranges (fragrances and cosmetics inspired by the most natural and exclusive locations on the Italian Mediterranean) and sophisticated ladies around the globe buy Le Nobili from Acqua di Parma (feminine fragrances inspired by the “noblest” flowers of Italian gardens). 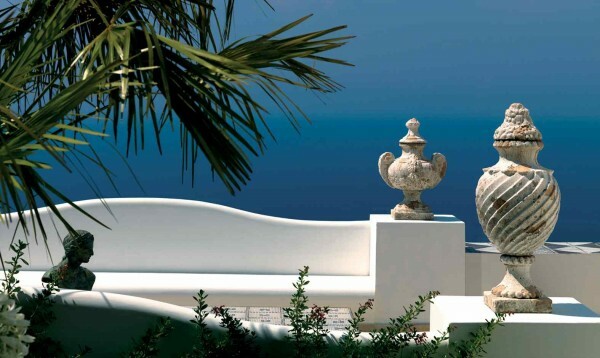 Acqua di Parma also supplies the suites of the most beautiful and luxurious hotels in the world with its Luxury Hotel Line, which embodies the inimitable Italian style of Colonia. I had the huge honour to meet and interview Acqua di Parma’s CEO and President, Gabriella Scarpa, in person. 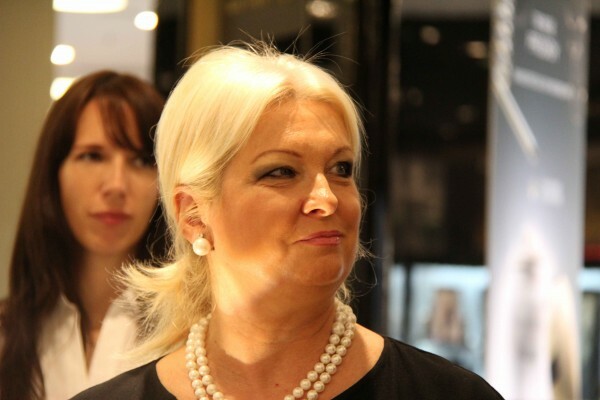 The Italian lady, “una bella bionda” is what you would call a “power woman”. 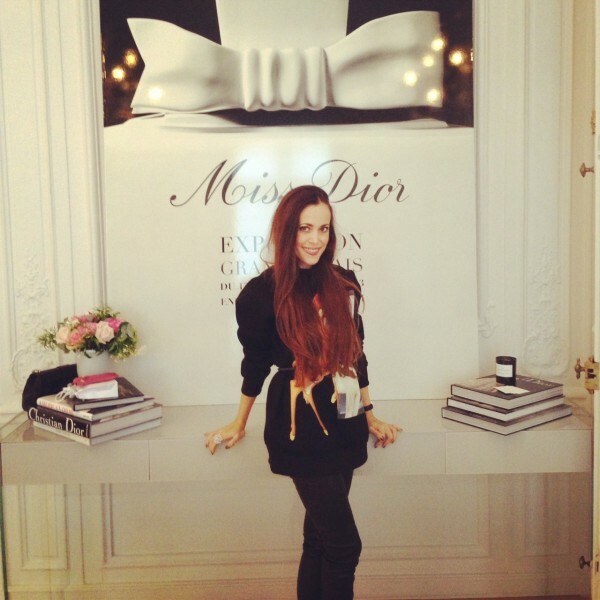 Holding multiple positions, she is also the Country General Manager of Christian Dior Couture and LVMH Perfumes and Cosmetics. After LVMH had bought Acqua di Parma, Scarpa took over the reins of the company in 2003 and brought it to success. Keeping up with Gabriella is hard, she is full of dynamite, a very passionate and feminine lady. 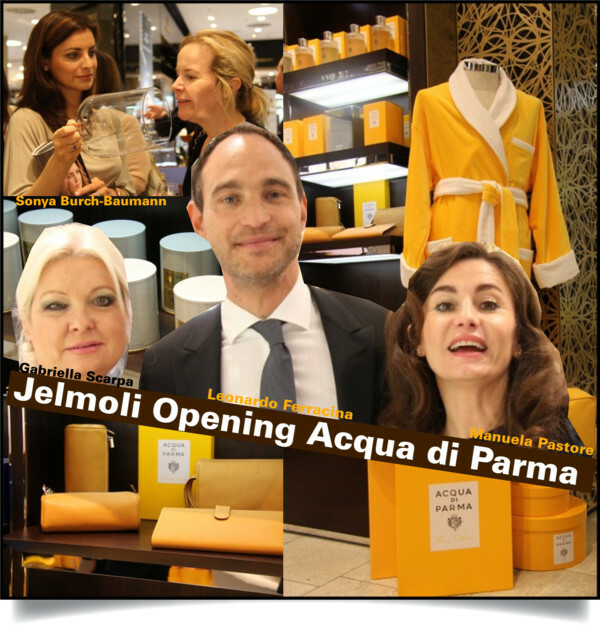 She was in Zurich for the opening of the new Acqua di Parma corner at Jelmoli which brings us this iconic Italian style, the atmosphere that is loved around the world to Switzerland. I travel a lot for business reasons and I love to travel ! This is part of my lifestyle. I travel around the world and my favourite cities are New York obviously, London, Paris all these cities that have excitement in them. And of course China now. Asia is giving you lots of energy and excitement! And travelling for Acqua di Parma, I enjoy seeing how the brand is sold in those countries and to meet people who really enjoy our Italian style. 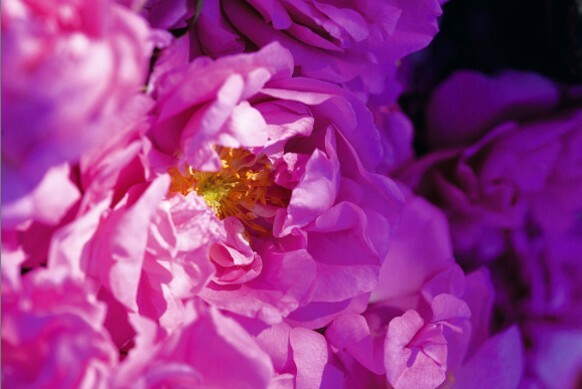 Do you have a favourite fragrance from Acqua di Parma? Yes! I did the Iris Nobile actually for myself. 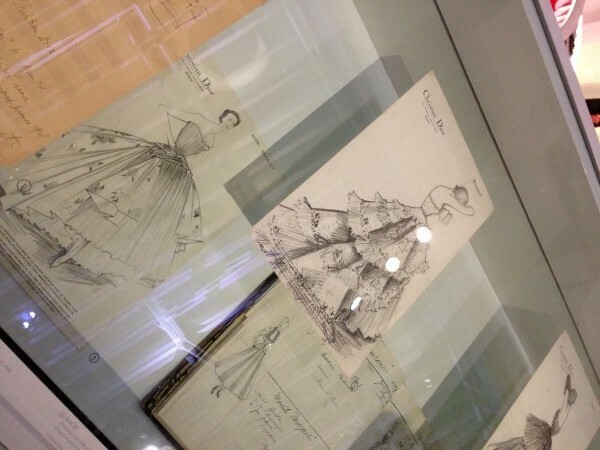 Since my early days, I had been a fan of Miss Dior 1947. I only used extract because I preferred the higher concentration. 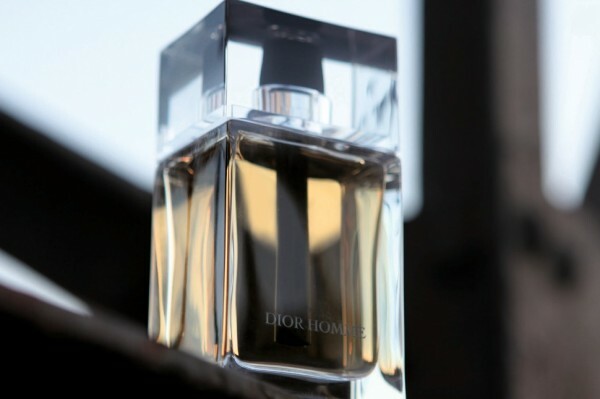 After a while, the original Miss Dior 1947 perfume was discontinued and I was all of a sudden without my favourite scent. This was the moment for Acqua di Parma to enter the female world. Women had been asking for such a product for a long time. 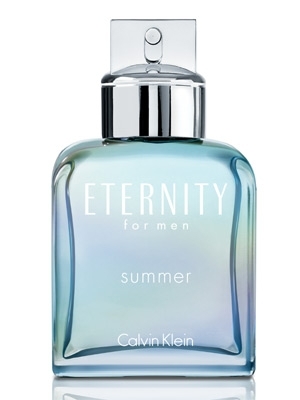 Personally speaking, I knew that our first fragrance had to be a chypre floral scent, very elegant and modern. Obviously I thought about iris, which is also the emblem of the city of the Florence and a symbol for aristocracy. 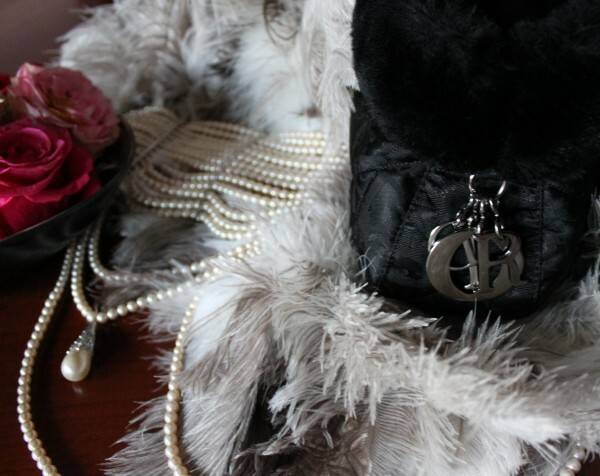 For Le Nobili, I wanted to create a world in which sophisticated women can recognize themselves. This concept represents also the world of the Italian villas with their famous gardens, another Italian tradition which has inspired us. We travelled around these beautiful villas and identified the flowers, the plants which were mostly used and beautiful to see. Iris is a very delicate flower, they only bloom fifteen days a year from 1st to 15th of May. In Florence, behind the Piazzale Michelangelo, there is this garden of iris, which is open for tourists, too. 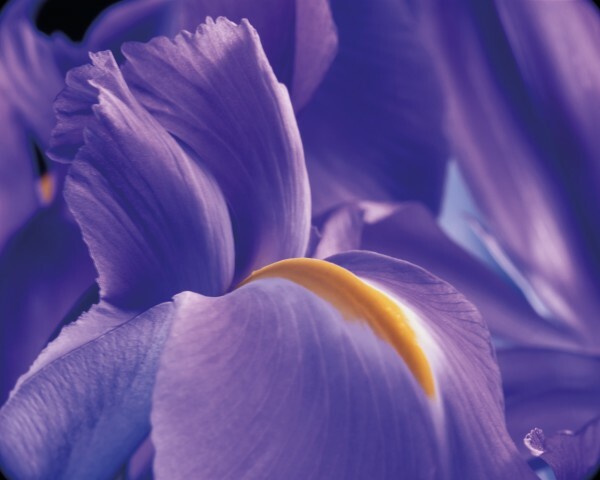 Moreover, there is a contest in which participants around the world compete to create the most beautiful and newest iris. In that particular year, the winner was an Australian who grew a very special blue flower that we used. Interesting to know is that we use the concrete of iris for the fragrance which takes three years. Once you have the concrete, you have to wait three years for it to dry and from a ton, you just get a few spills of fragrance. So it is extremely expensive. 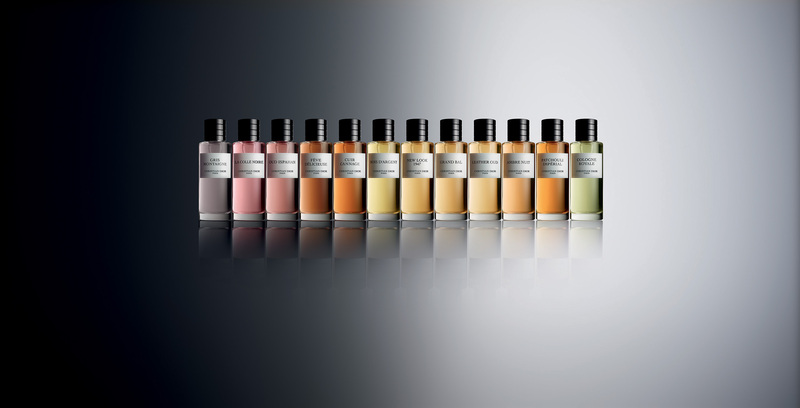 In fact, nobody in the perfumery used the extract of concrete because of its value. We launched it in 2003 and it was immediately a big success. 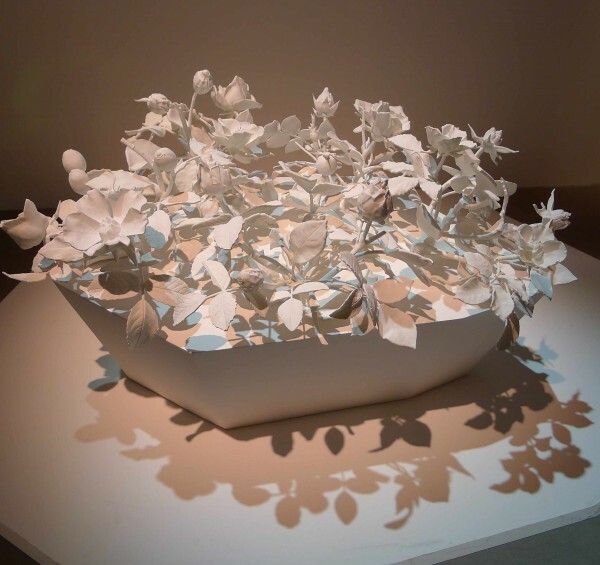 After a few years, in 2009, I created Magnolia a very refined and wonderful plant which is different from iris. New this fall! 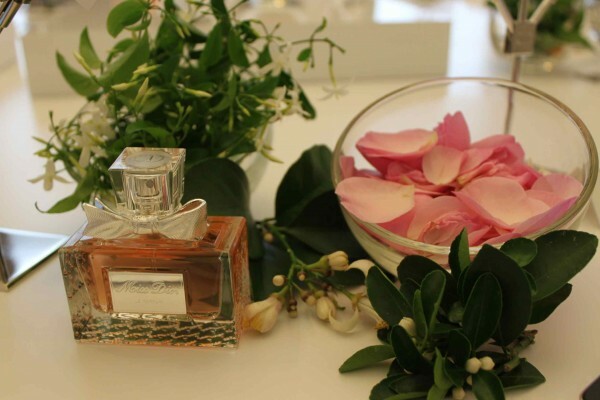 Iris Nobile Sublime – The new fragrance for women that is a flanker to 2004′s Iris Nobile. 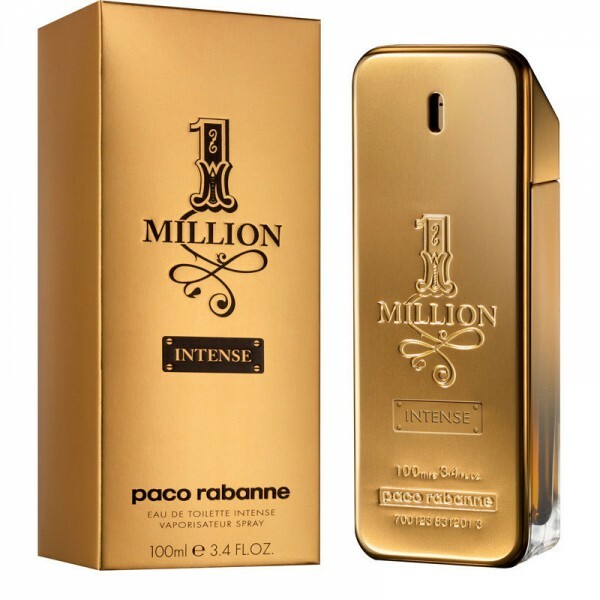 The notes feature mandarin, neroli, ylang-ylang, orange blossom, rose, jasmine, iris pallida, wood, cedar, acacia, birch, patchouli and musk. 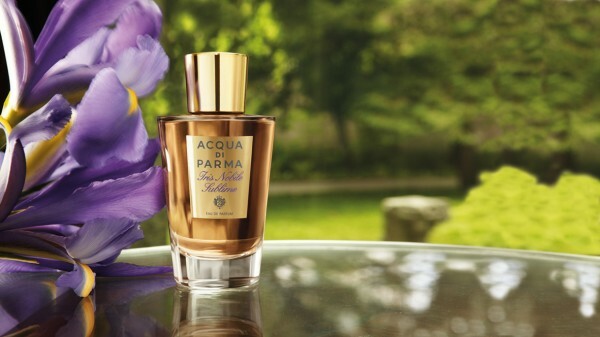 Acqua di Parma Iris Nobile Sublime will be available in 75 ml Eau de Parfum. 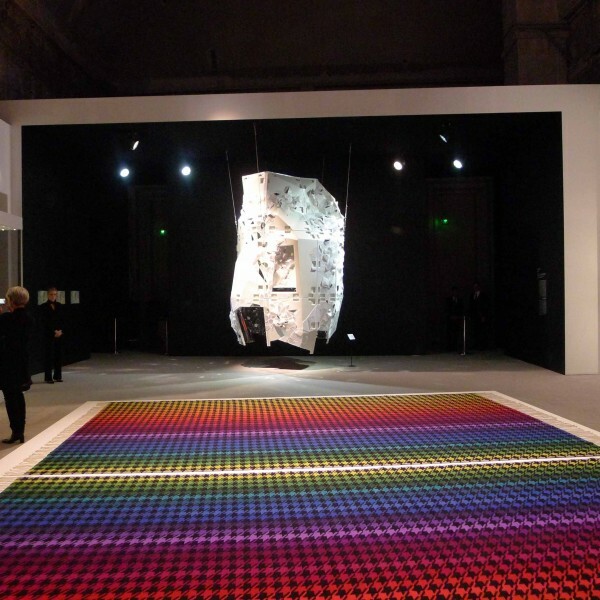 How are you involved in this creative process? From the very beginning, the concept is always mine. After that, I transfer the idea to the marketing team, they transfer it to the fragrance people. Luckily enough, we have François Demachy, one of the most famous nose in the world, working for us. 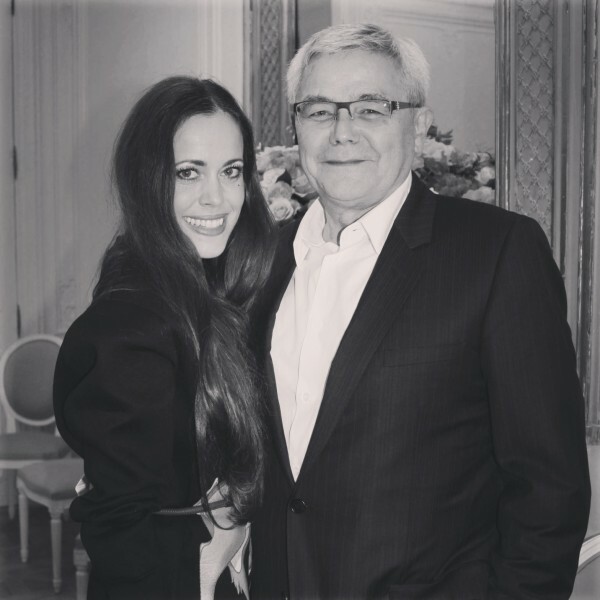 He is the creator of all our LVMH fragrances. 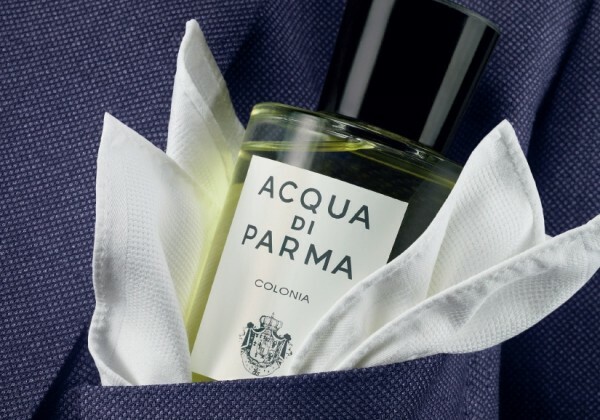 He loves Acqua di Parma and because of his connections, we got to the famous fragrance houses to create the ingredients exactly as we wanted them. Now with François Demachy, we work with Italian producers, many of which are in the South of Italy with their own plantations working almost exclusively for us. And for example the story of Gelsomino is very bizarre in a way but also very significant, because the “gelsomino” (jasmine) for fragrances didn’t grow in Italy anymore. 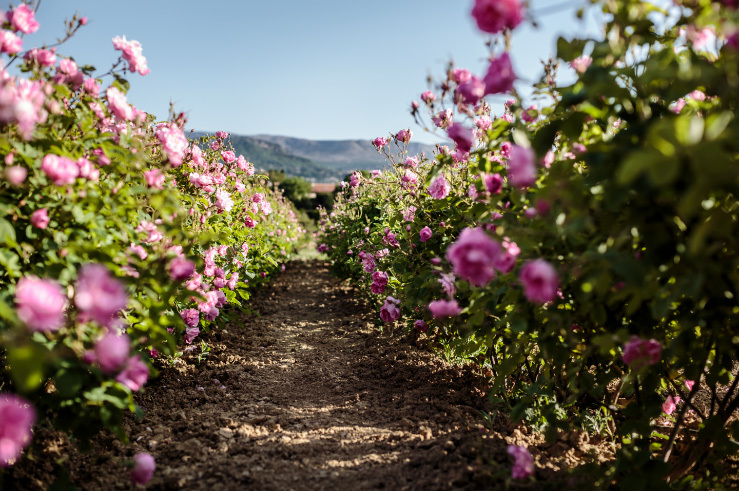 Three years ago, we decided to create the Gelsomino fragrance and to get a new plantation in the South of Italy where it is more sunny and easy to grow that beautiful plant now used for Acqua di Parma and Guerlain, only for these two brands. 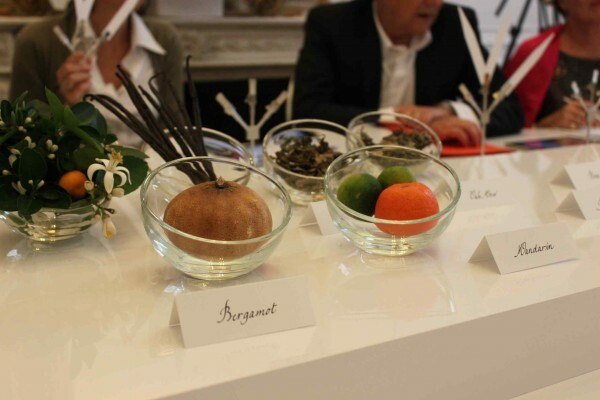 I am proud that we revived the tradition of gelsomino for the fragrances. I’m from Milan and my family is from Venice. Do you feel more Northern? Yes, I’m more Northern, but the South is giving us all these amazing products like the oranges, the mandarins, the cedars, the bergamot among many others. 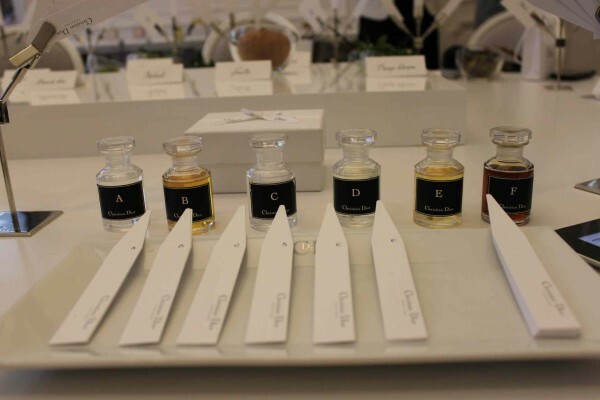 All these fragrances derive from a fantastic, unique cultivation. All our ingredients are coming from Italy. 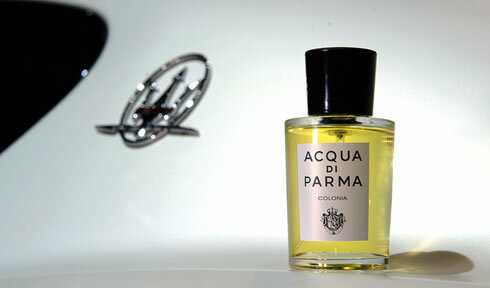 Everything from Acqua di Parma is produced in Italy? Yes, everything is produced in Italy! 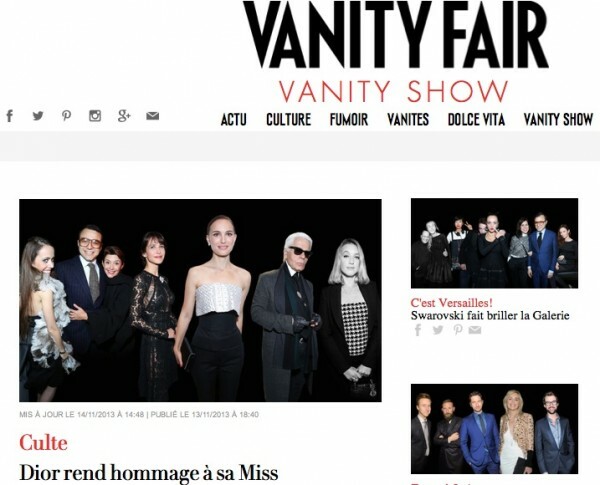 How is it for you to head a French haute couture company and in the same time an Italian brand. What’s the biggest difference regarding the mentalities for you? It’s actually not very different because at the end of the day, we talk to the same people. The difference from Dior, obviously it’s a big brand and so it’s more commercial in a way, more international and more decisive. Both brands have different means but their quality is the same. For Acqua di Parma, it is very important to keep it Italian which is sometimes hard, because you cannot find everything in the country. 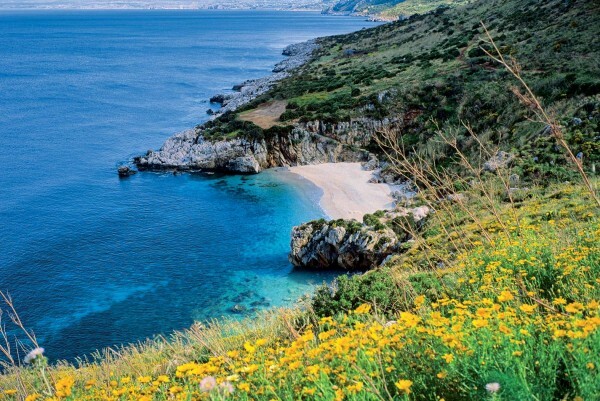 This is why we adapted our production to our original produce of Italy. So this is the main difference. Looking at our communication, it is also standardized on a model, that only changes the name of the product or the flowers. It is very simple. So another big difference is that we are not a fashion brand, we don’t have a designer and a fashion show. We are selling what we are very basically. 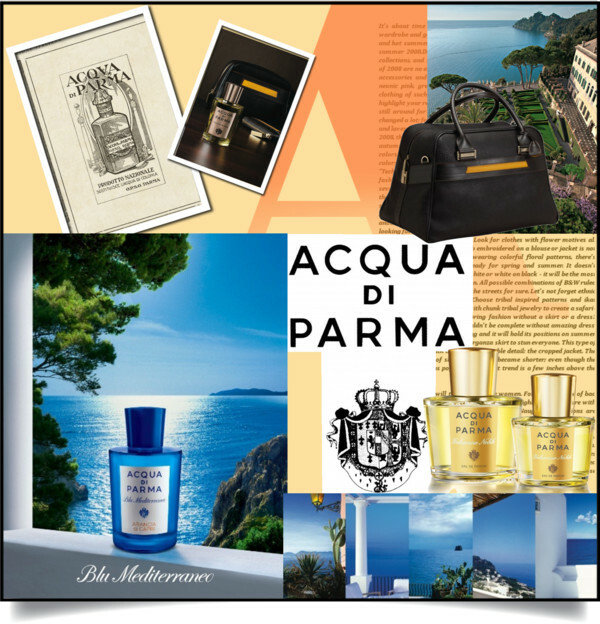 On the website, there are five words to describe Acqua di Parma: Quality, creativity, elegance, exclusivity and selectivity! If you could add three more, which ones would that be? The real thing, emotion and fashion! How strong is the Asian market for you? 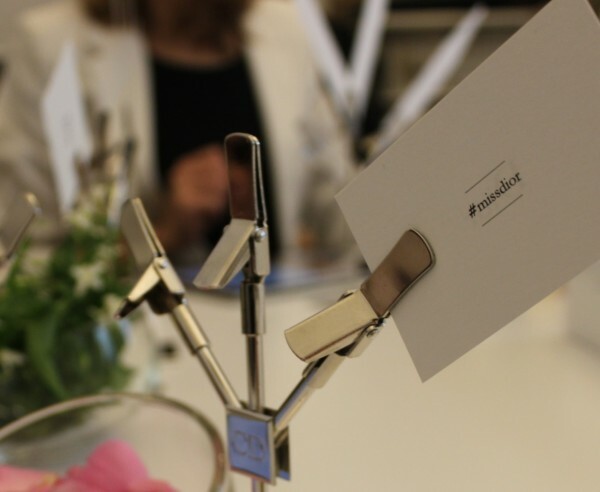 We waited with the launch quite a while because 80% or 90% of the market is skincare and make-up, so the fragrances are not so strong depending on the countries, mostly 5% maximum 10%. 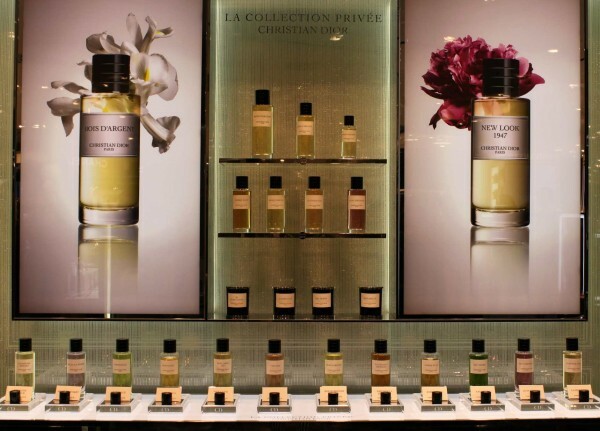 Asia is not a fragrance market. Therefore for us, it was very important to enter in the right way, to make a difference. We started in Korea because the Korean’s are very much attracted by the Italian brands and European heritage. We had the opportunity to create the first counters in the middle of the cosmetics so even that we were just fragrances, we were very successful from the very beginning. In Japan, we launched at Isetan, a famous chain, that had asked for the brand many years ago. China was completely different. 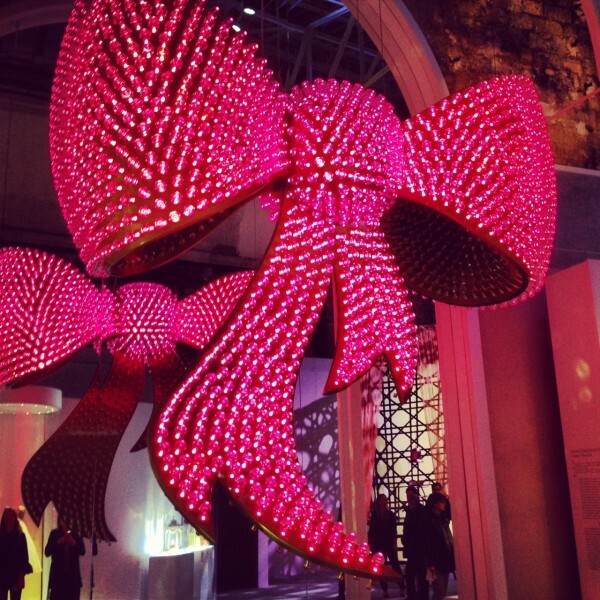 The Chinese were building up new cities, new shopping malls which became the most luxurious in the world. I have to say they are copying a bit the American model but in the highest way. When we negotiated with them, as we were interested in opening so many stores, they were also interested in getting the brand. We got fantastic spaces from the very first beginning. 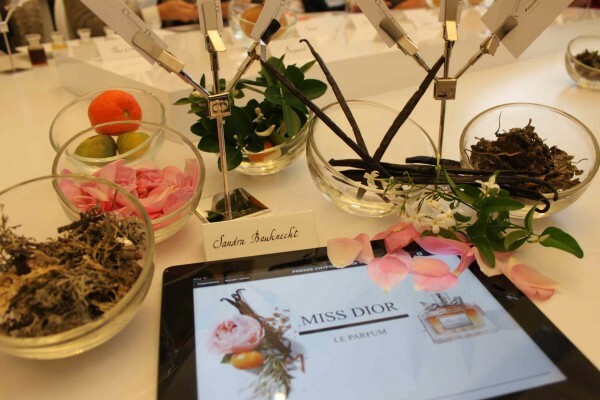 Many Chinese celebrities and VIPs knew Acqua di Parma from their travels around the world. Everybody came to visit the first counter in Beijing at Mitsukoshi, which is the most luxurious department store, with all the high end brands having their own boutiques. Being attracted by our tradition, the men began to use the Collezione Barbiere which is fascinating. Chinese men don’t shave, they don’t have a beard, but they like the texture, the presentation, the packaging, the fact that it is luxurious, that it is Italian and they adore the atmosphere. 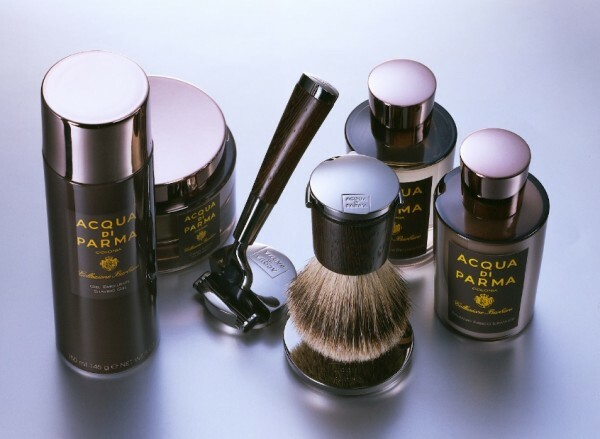 In fact, we sell a lot of Collezione Barbiere and skincare because it’s different from many others. Of course, a lot of our iconic Colonia, along with Magnolia, Iris, honestly we sell everything. 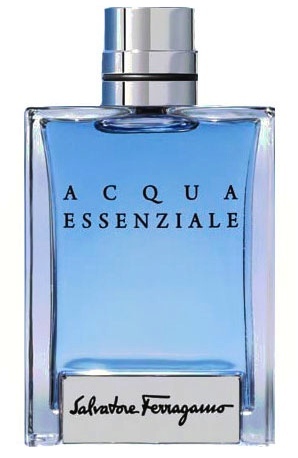 The Asians have become friends of Acqua di Parma and are more into fragrances now. Moreover, the young generation is more occidental than oriental. Nowadays we have eleven counters, one boutique, another one to be opened this year, and people are really passionate about the brand and very much loyal. They buy all the line, and I mean all the line! Do you have a bestselling product that is successful around the world? Yes, it is definitely Colonia. Speaking of fragrances, it’s always Iris or Magnolia. 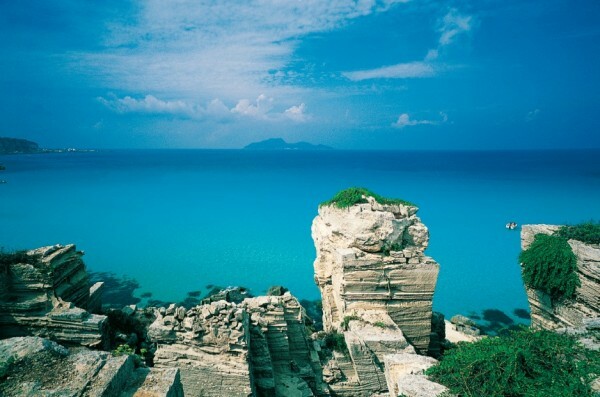 In Asia, the Blu Mediterraneo collection is stronger than in Europe, because those scents are less complex in terms of structure and ingredients. The candles are very strong in the U.S. followed by the UK and also Asia. You have collaborated with Maserati among others. Why them? Our partnerships are very much authentic, we want to live the Italian myths – and Maserati is one of these. They exude the same elegance and heritage. Ferrari, for example, is different – it’s wonderful but it’s more show. So we did many projects with them. How can I imagine such a collaboration? For example when we do events, we use a Maserati to shuttle our guests. Have you ever thought of a special scent for Maserati? We were actually thinking about it. Could be that one day we are doing something special. 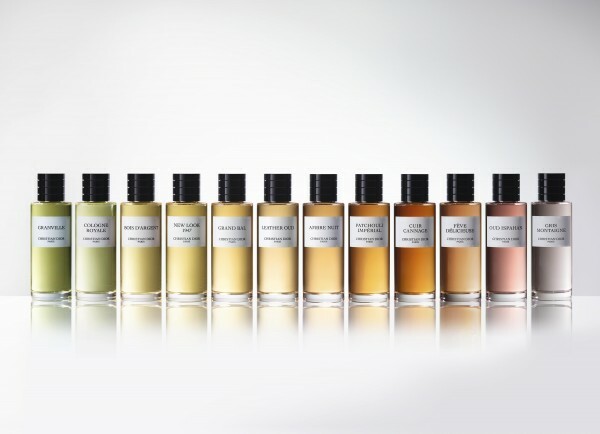 Have you done bespoke scents? No, we haven’t done bespoke scents yet! Do you offer other personalized services? Yes, you can have your initials on the bags as well as on the fragrance bottles which will be done in Italy. We even have a special cap to conserve the personalized cap which is really unique. It takes like three hours to produce just the lid, all handmade. People want to keep it. This has happened very often with our products, even with the candles. Are the candles all handmade? Yes, absolutely and it takes hours and hours to do them. They burn only inside, the outside remains beautifully intact. 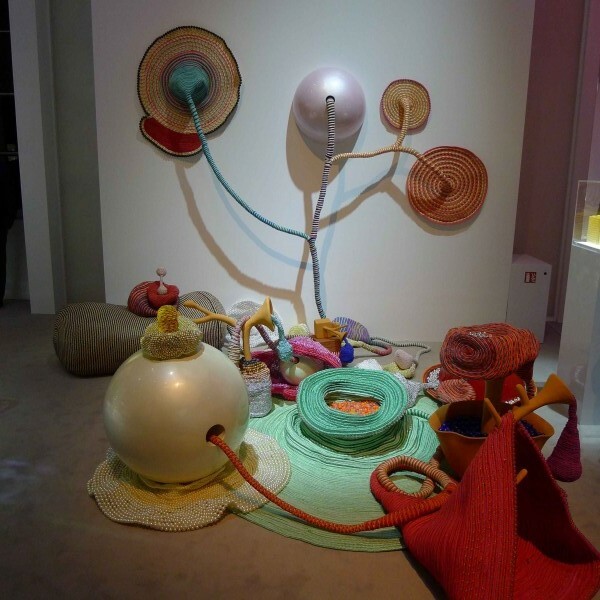 Therefore, people like to keep them for decoration. Do you sponsor certain events? We are sponsor of the FAI, which is the Fondo Ambiente Italia, a fund also of ancient villas and cultural things and of Mille Miglia, the very famous antique car race. This is our world, because obviously the owners of these cars are very sophisticated and love culture. Funnily enough, they all love Acqua di Parma, it may be surprising, but when we go to the Mille Miglia, everybody comes to our lounge and says: „ OMG! I use Acqua di Parma since ever, you are here, I love this brand, please don’t change it – it’s wonderful, I love this!” It’s really a tradition. Would you say that the American perception of the brand is different? Yes, in the U.S. it’s different, Acqua di Parma is known as the brand of the celebrities. The story behind it is very funny; in the ’30s, ’40s, ’50s, the American actors came to Cinecittà in Rome to exchange movies. They used to come to Italy and get their clothes made, especially the men. 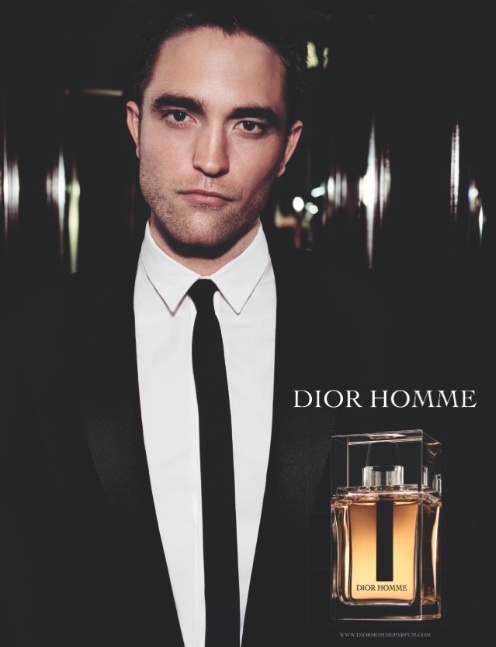 They went to the famous Italian tailors where Acqua di Parma at that moment, was distributing its signature Colonia. This is how they met the brand and brought it back to America. So it became immediately the fragrance of the stars. 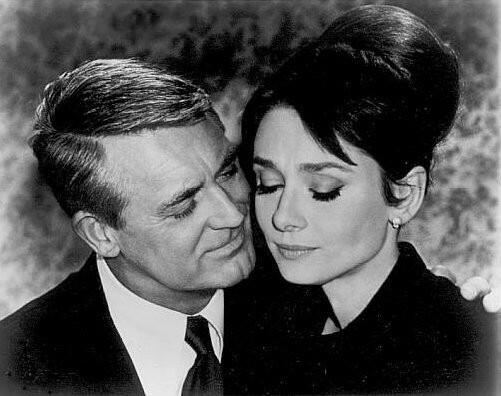 Cary Grant and Audrey Hepburn among other very famous names were using Acqua di Parma. And even today, it has still remained the product of the stars – in the U.S. everything is about celebrities. Have you ever worked with an ambassador? No, but we have some agents working for us on different initiatives in Los Angeles because of the Italian Film Festival in California. We have contacts with some actors: Jude Law or Al Pacino for example is someone who comes to Italy very often and has bought a lot of Acqua di Parma, really a lot…! Elton John buys huge amounts of Blu Mediterraneo, like a hundred pieces and puts them in all of his houses. This is happening very often. People are buying for all their houses, for their boats and so on – they want to have their property fragranced. It’s evident. Once, the owner was Montezemolo (Luca Cordero di Montezemolo is an Italian businessman and Chairman of Ferrari. He is aristocratic and widely regarded as a stylish, classic dresser). 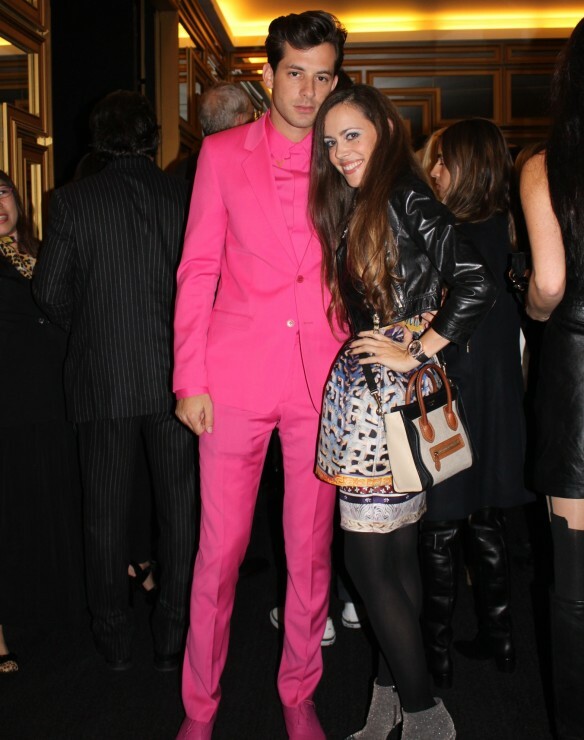 He is the Italian successful, elegant, aristocratic man. He can impersonize the best what we are representing. If you look at our communication for the Colonias, we are representing a very elegant man, either with a tuxedo, either with a suit – it’s a very elegant man. And he is successful because he has a capability, a character. It’s transmitted character – that’s very important. Another guy, who represents Acqua di Parma very much, is Giovanni Gastel, the famous photographer who shot a lot of campaigns for Guerlain, Dior, Tod’s in the past and who is the perfect gentleman. You see in the manner, in the education, in the physique, in the way he dresses – he’s the face. 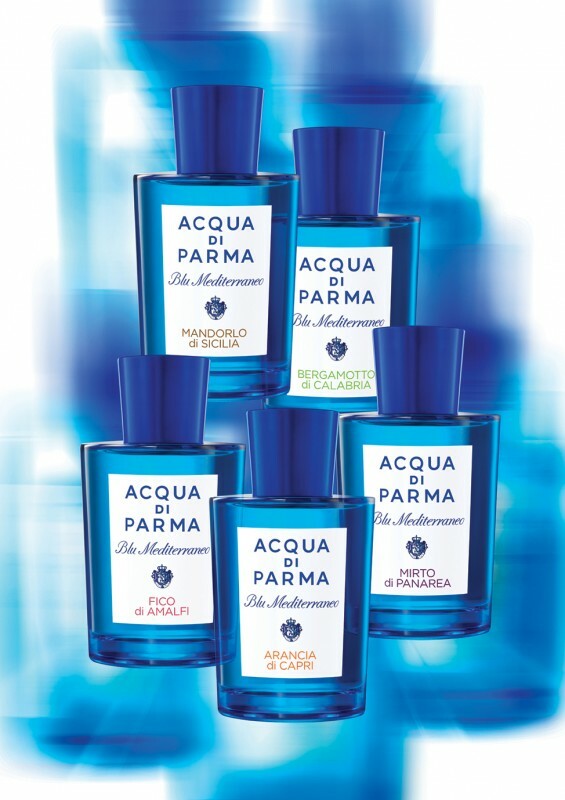 Would you say that Acqua di Parma is still more a male company? Or has that changed? No, it is the same, regarding the style, we can have the same for women, obviously. And when we talk about women, you can have Lavinia Borromeo, who is very much similar to you, very elegant in a sophisticated way. She is not bourgeois, she is not putting on many many things just to show off. It’s the real elegance, the real aristocratic. It is the manner, it’s the way they act while being very simple people. They don’t play the role of the sophisticated, but they are sophisticated, because they don’t play. So it’s something that they have inside. Something that is difficult to express, something that comes from the class. The class, that is important. You have one Acqua di Parma SPA in Porto Cervo. Will there be more? For the moment being, that is the only one. 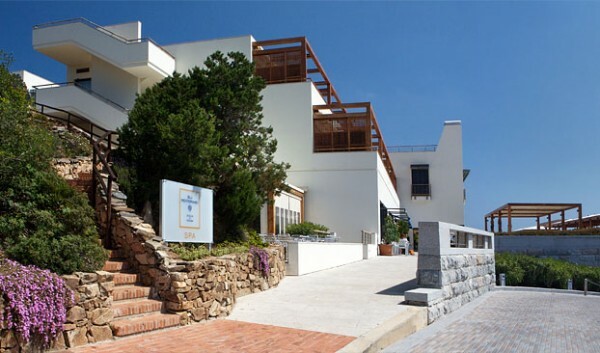 Our Acqua di Parma SPA is located within the exclusive Yacht Club Costa Smeralda. This represents the selectivities like nowhere, because they only have five hundred members which are chosen by the club and not chosen by the fact that they are rich. It’s a club of selected members depending on their origins and their class. And so this is the preferred place for us to be. Finding another place of the same level is difficult, as we want something special! Do you have any special products in the SPA? Yes, we have a line of products which are used for the therapies and methods, a range of 22 products which are specific for the SPA. 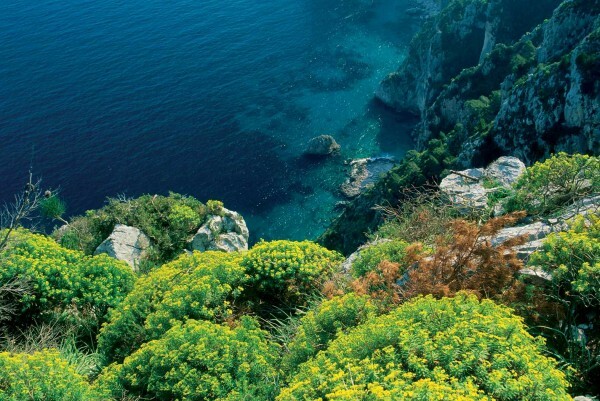 The advantage of Acqua di Parma is that this brand can go everywhere. It can go into the spa, into the hotel, into the leather goods, into accessories, it can go everywhere. We could build a hotel of our own, I don’t know. That brand has such a personality today, such a recognition and a reputation around the world. We can do whatever we want but we have to be authentic and pay attention not to lose our originality. Everything has to be made in Italy, so this is another limitation for us. Look at our boutiques for example. The concept is very unique, very Italian from tip to toe in the sense that we use only Italian materials, only Italian artisans. It’s proof of the Italian capability to do wonderful things, to produce real handmade things of a certain quality. The brand is a way to promote Italy in the world. 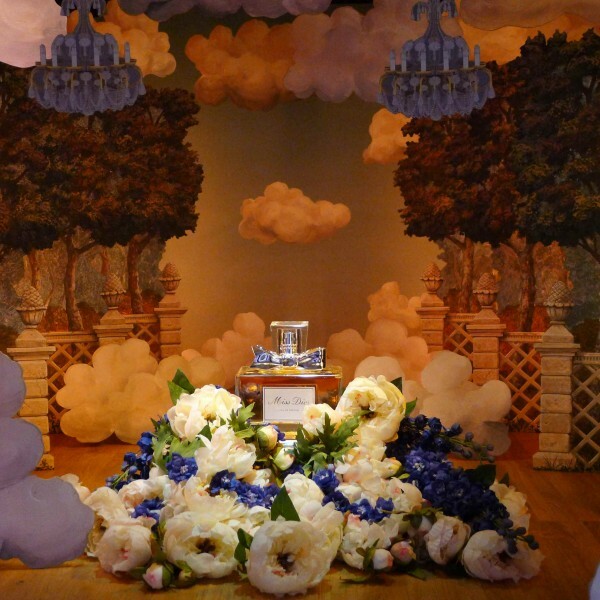 How do you create the amazing ambiance in your stores? Some of the furniture for our boutiques is made by a very small family-owned Italian company. In addition, we work for example with Poltrona Frau, which re-edited a chair from the ’50s for us – and we covered it with the same leather of our leather collection. So everything is very unique. We have tables covered in leather, glasses that are handmade, the mosaics made one by one, it’s amazing! First of all, we want our customers to sit down and relax. For that reason, we have different chairs, sofas and so on. It is a different situation to pay while you are seated and comfortable. We want for them to live an experience and they are all so amazed that they buy everthing you propose them. In this way we gain the loyalty of our customers, the respect and they talk about us, so it’s all about word of mouth in the end. 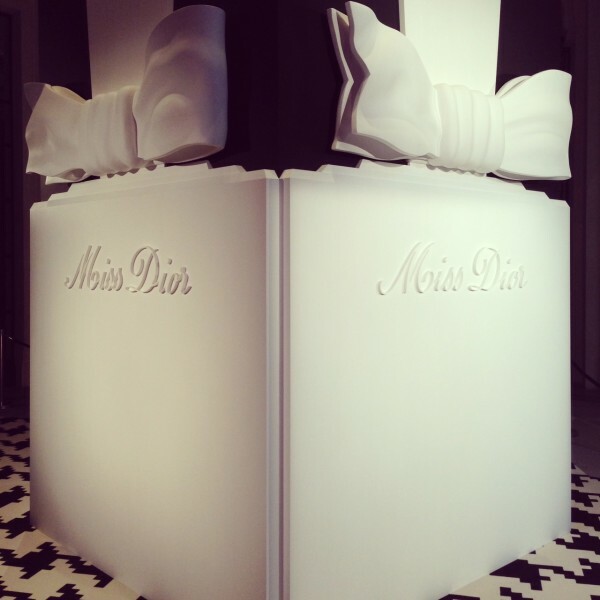 What do you think is like the entrance product for the brand ? 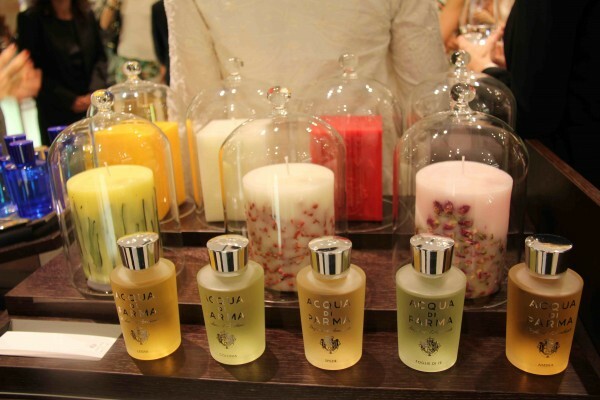 Personally speaking, I started buying the candles and explored the brand from there. It depends a lot on the customer’s interest and taste. Obviously the candles are very much the entry for countries like the Anglo-Saxons. It is depending on the culture. 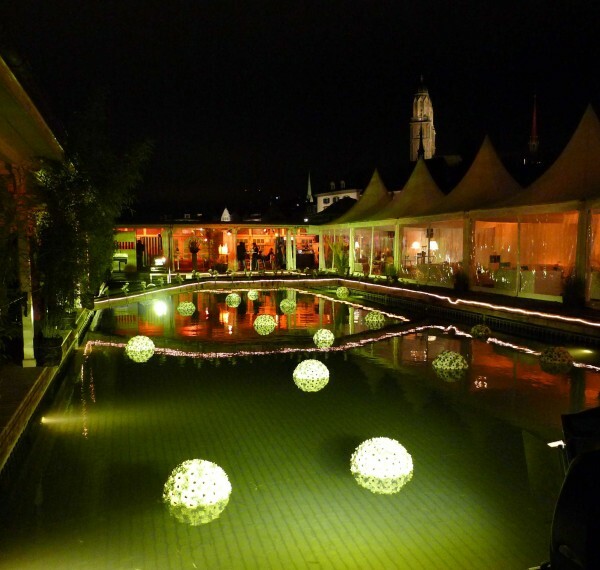 Soon the company will be celebrating its 100th anniversary, in 2016. Are you preparing a special celebration already? Yes, we will have a celebration, I am already thinking about that! But cannot tell you more. Do you have one baby in the company that you’re so proud of, like “your baby”? They are all my babies. 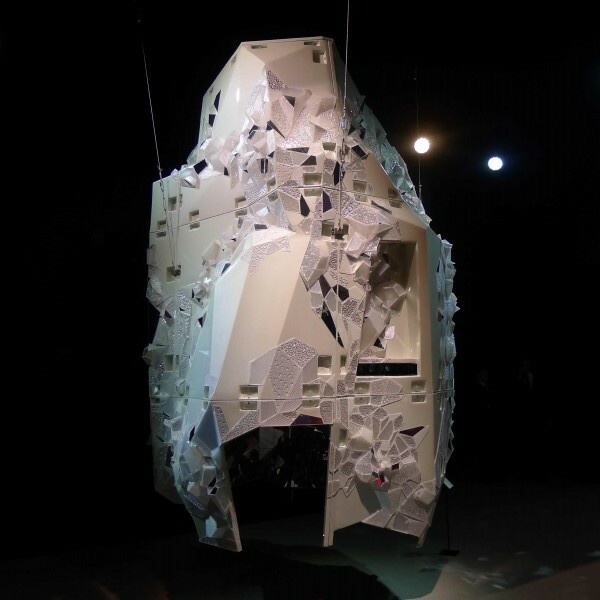 I have been with Acqua di Parma for many years and helped to create a whole universe. You are such a powerful woman and you also have children. How have you balanced both, professional and family live? Yes, I have two children, but I have no time to follow them. They grew up with nannies but as I’m a good cook, whenever I was at home, I organized these big parties for our friends with their kids. I cooked a lot in my life, actually whenever I could. 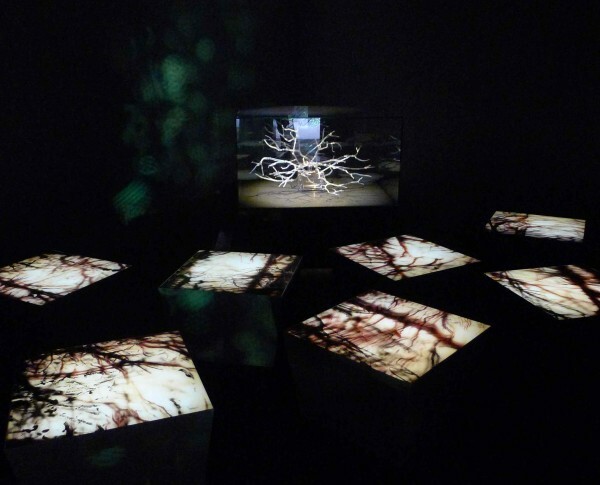 And this was a way to keep them very much linked to me. We have a very fantastic relationship. I have to say I owe very much to them, because I was never there. I travelled a lot. Did they go to boarding schools or did they stay at home? They stayed at home. My daughter is a nuclear physicist, something very different. She studied in Italy, and did after her doctorate an MBA. Today, she works for the Bayer Group – after five years in Berlin, she’s now in Pittsburgh. She has a fantastic life travelling around the world. My son is studying marketing communication in Italy, and he will graduate in the end of the year. Afterwards, he will go to the U.S. to get his MBA. And probably he will live there too, because he is very American. I have pushed them a lot to go outside, obviously I love my country but for young people at this moment in these years it’s not so exciting and not so promising. Outside, there are plenty of opportunities. It’s also an experience they have to do, learn languages, learn how to live with other mentalities and after that they could come back with all their experience. I think it’s good for them. So I’m not a real good mother, but I love my children. I wouldn’t say that. There are some mothers who are always there physically but they are not there for their children. It is more about quality time. This is what my children always told me, when I excused myself during the years, saying: “I’m so sorry that I’m never here”. They answered: ” But you have no idea: Many mothers that are staying at home, are always depressed, always crazy, always shouting. Our friends admire us because we have a brilliant mother who is always happy.” That is true, I’m always happy and very optimistic. I have always talked to them about respecting their job and finding a profession that lives up to their own expectations. We love to work, even that you have to make sometimes sacrifices regarding your personal life or even physically. Obviously, travelling a lot has an impact on your body that you have to resist. Most importantly in life, you have to learn how to manage stress. There are so many people stressing themselves just for nothing. People that have crazy lives are not stressed. Personally speaking, I think that it depends very much how much you love what you do. If you are passionate and satisfied by what you do, you don’t feel stressed. How long did you stay home when you had your children? For example, when I had my son, I stayed home three days. It was Saturday, Sunday, Monday… The morning I had to go to the hospital, my boss called me and asked: “Where are you?” I said, “I’m in the hospital, sorry but I am in labour.” I had worked until the last day and had been travelling with a certificate of the doctor. This might be the reason why my son is a bit nervous sometimes. But in the end, I had responsibilities, I was number two in the company at that time, I couldn’t stay home. My son never knew a different system because when you stay at home for the first three years and go back to work, it’s a trauma for the children. An intimate question. Where you with your husband all the time? Have you brought up your children alone? No. My first husband used to travel a lot like me. But we tried not to be gone at the same time. After I had divorced him, I married the man that has been by my side now for thirty years. He is a finance guy and more organized than me in terms of life. He’s very good with the children and has two of his own, so we have four children alltogether. It is amazing what you have achieved. Congrats on your success! The fact that I am here to talk with you about Acqua di Parma is a success for me, because it means that you are interested. Yes, I absolutely love it! So it is a success for us, because it means that people like you really appreciate the job we have done. So thank you very much ! 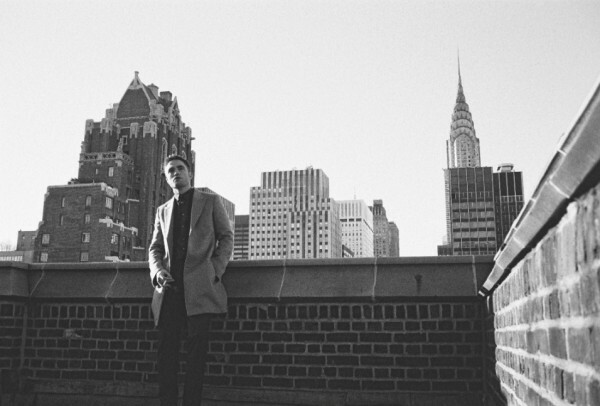 Fan di Fendi pour Homme is the first ever Fendi men’s fragrance. And great news is that the famous English DJ, musician and music producer Mark Ronson is the face of the ad campaign. 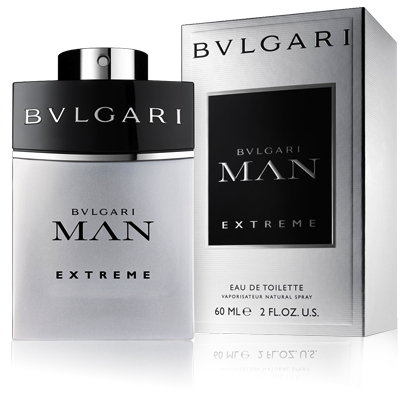 This masculine scent aims at mysterious, sophisticated and urban men who radiate charisma and modern elegance. Therefore, the composition tends to be both fresh and modern, as well as classic and refined. 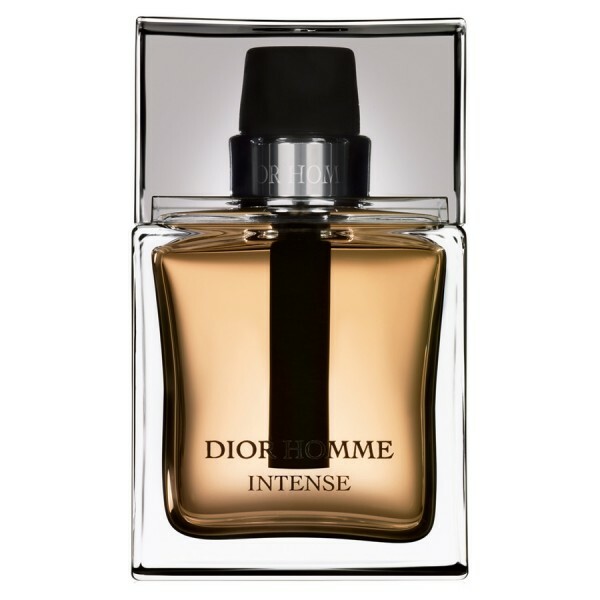 Created by perfumers François Demachy, in collaboration with Delphine Lebeau and Benoist Lapouza, its character is fresh woody-aromatic. 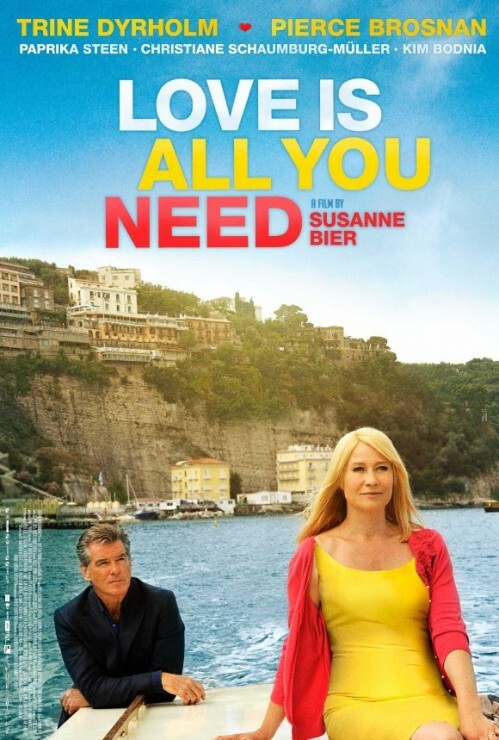 Available in Switzerland from September 14, 2012 exclusively at Marionnaud.